Evaluators have developed an impressive array of approaches, frameworks, and tools to support both coalitions/networks and their funders. The report explores these developments, and points to challenges and opportunities that remain in efforts to assess the effectiveness and impact of coalitions/networks. 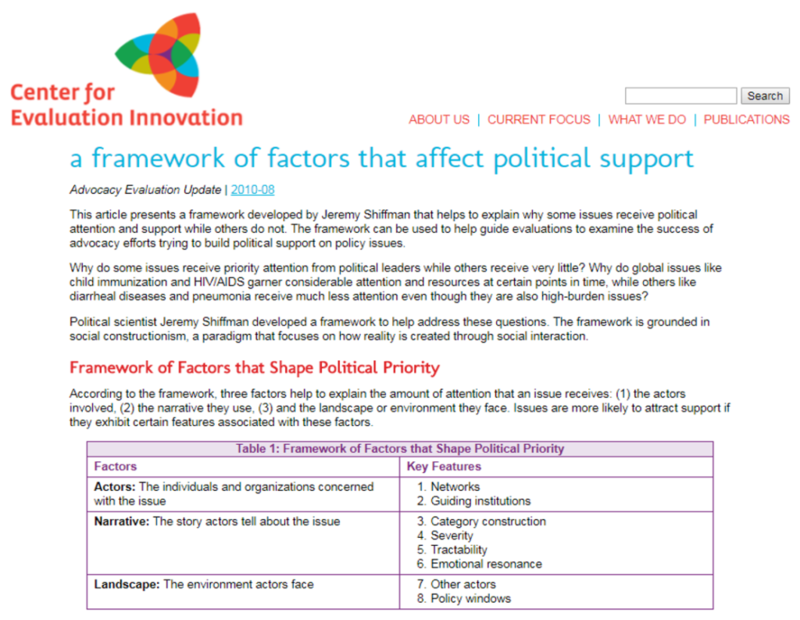 This review is for coalitions and networks that are considering embarking on evaluation. It begins with what makes coalitions and networks different from standalone organizations, and the implications for evaluation. It then reviews five selected evaluation frameworks, highlighting their advantages, limitations, and applicability. 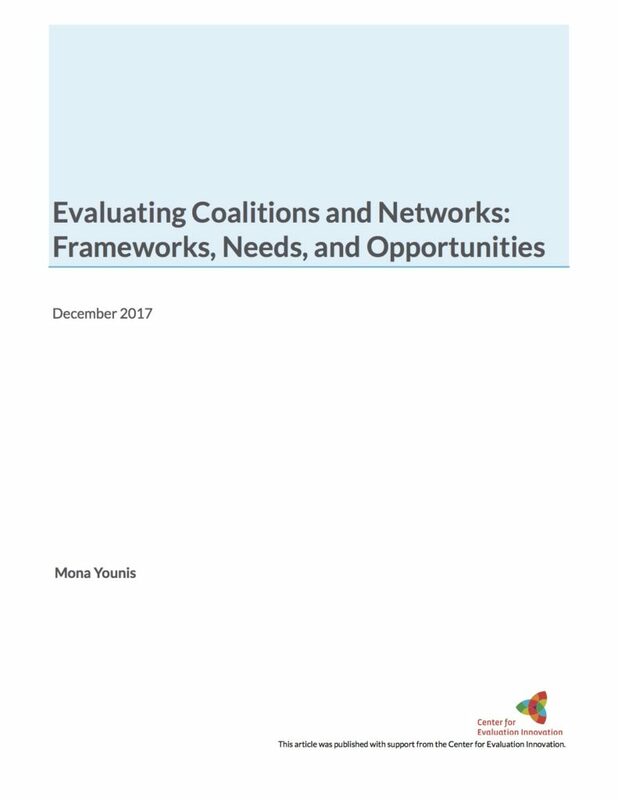 Finally, it offers a set of lessons and opportunities related to coalition/network evaluation based on real-life experiences, along with insights for funders on how best to support evaluation of the coalitions/networks they support. Recognizing that much has been done in the general field of capacity building of the nonprofit sector, the National Gender and Equity Campaign (NGEC) began conducting extensive research to understand existing frameworks, tools and approaches in capacity building. 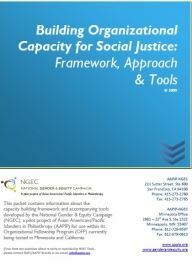 The transformation framework and accompanying tools within this publication highlight NGECs intention to elevate the social justice movement by supporting the development of social justice organizations. 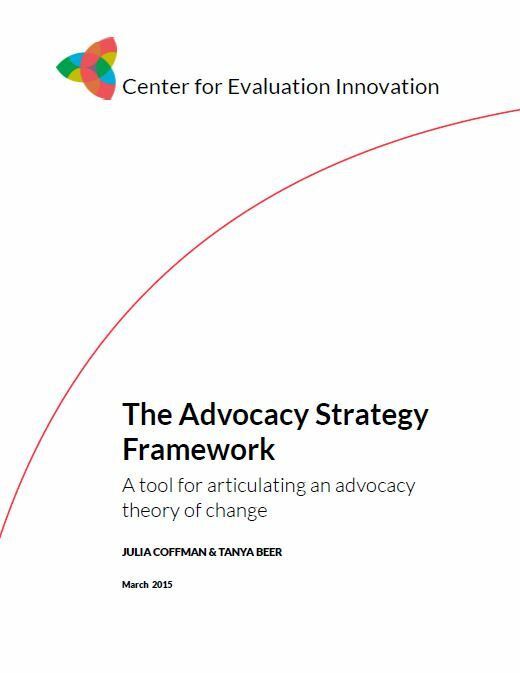 This tool can be used to design an advocacy theory of change. 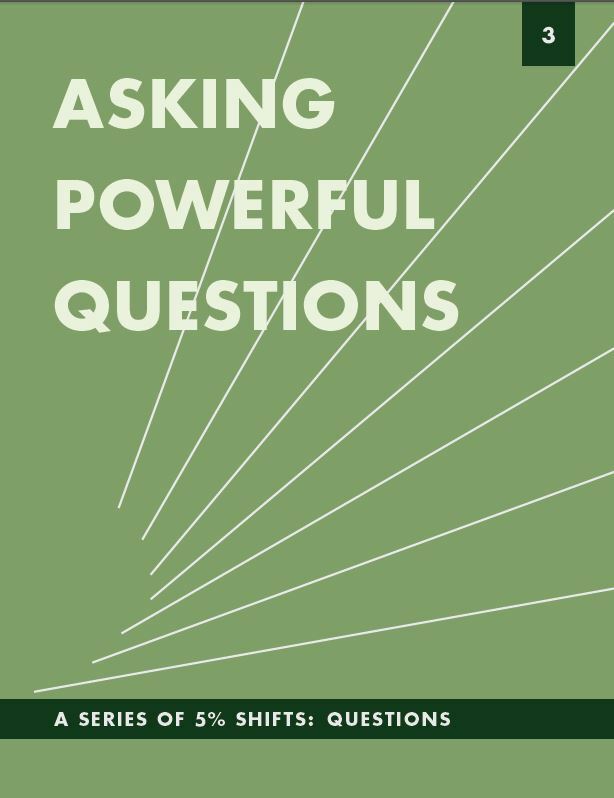 It leads a group through six questions for discussion, provides facilitation tips, and several graphic representations of what final strategies might look like. (3) the environment surrounding the organization. It can be used with an organization to evaluate the impact of the role played by constituents and the organization, and the change in conditions within the environment.